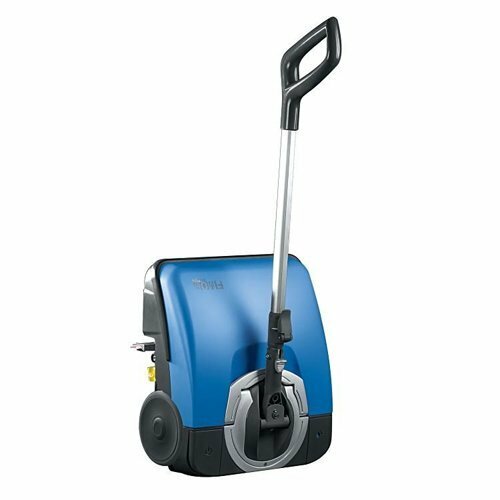 The ultra-compact sized Fimop Refurbished Battery Scrubber Dryer will replace your mop and bucket for good . 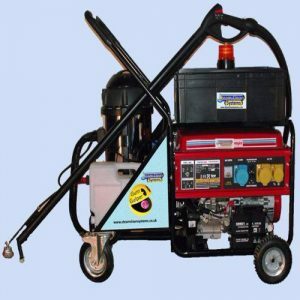 The Fimop Refurbished Battery Scrubber Dryer is one-of-a-kind and very compact scrubber dryer with cylindrical brush. 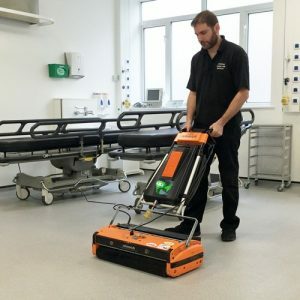 It has been designed to replace manual mopping systems for cleaning small or highly cluttered spaces, giving all the advantages of mechanised cleaning systems: high hygiene quality, immediately dry and safe floors, fast and effortless interventions. 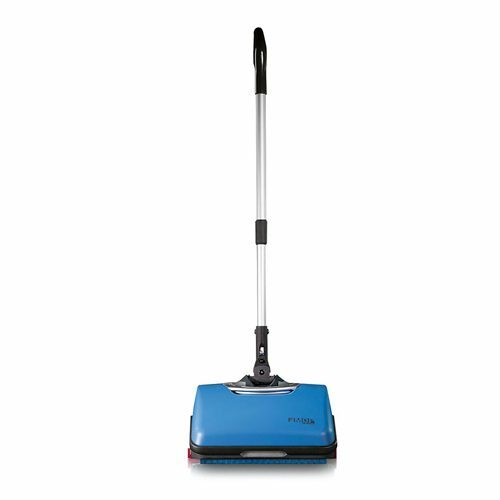 The Fimop is powered by a lithium ion battery, for easy and fast recharge at any time. 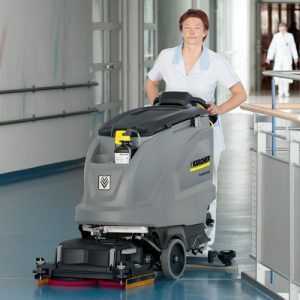 In this way the machine is always available during the whole day . 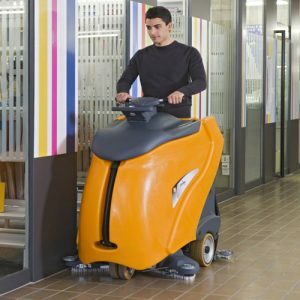 Being lightweight it can be used easily in various different places. 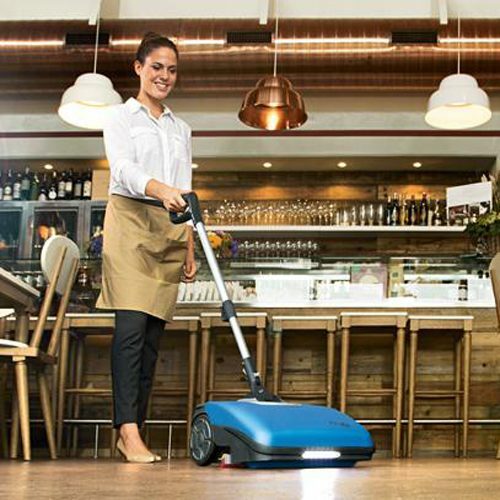 Complete With: Gel Battery ,External Charger, Brush , Squeegee blades . 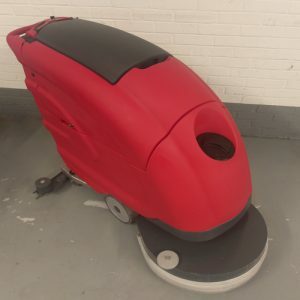 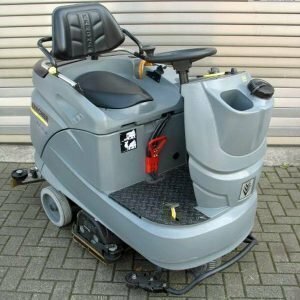 Fimop Refurbished Battery Scrubber Dryer washes and dries floors removing the dirt in a single operation, saving you the trouble of having to use a mop and bucket .